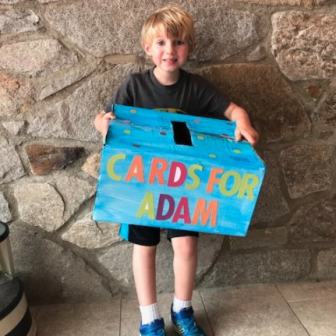 Adam, the five-year-old New Canaan boy who had to be resuscitated Thursday when he went under water in a swimming pool for four minutes, then made a dramatic recovery over the weekend, is getting get well cards from the community. 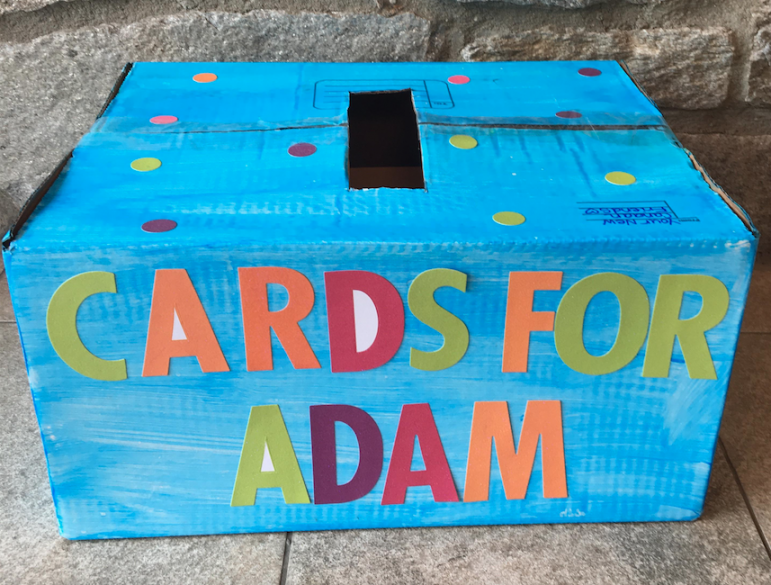 “The family is very appreciative of all the love and support,” said Allyson Mahoney, a New Canaan resident who organized a way to get the cards to the boy. Mahoney set up a box at New Canaan Library, where get-well cards can be dropped off until noon on Friday. “He’s doing really well,” Mahoney said of the boy, who’s family at this time prefers to remain private. “It was a fantastic recovery.” The boy’s father told a reporter from the Stamford Advocate on Monday that the boy was home and the family was concentrating on his recovery, then declined further comment. At 12:30 p.m., Thursday, Adam was pulled from a relatively shallow swimming pool at Chelsea Piers in Stamford by a lifeguard, according to the Advocate. Resuscitation efforts continued by the lifeguard, others at Chelsea Piers and by ambulance medics. The boy was taken by helicopter to Yale New Haven Children’s Hospital, but the helicopter trip was delayed when doctors had to stabilize him after he went into seizures, the Advocate reported. Then, over the weekend, Adam recovered swiftly, to the point that he was able to walk, and he was released from the hospital. Mahoney contacted the family and offered to send get-well cards for Adam, and Adam’s mother agreed. 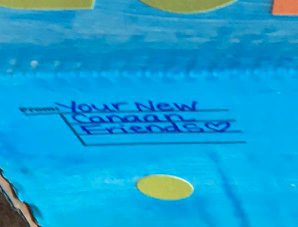 A number of Mahoney’s friends also wanted to send some, and at one point Mahoney said she and her son, Gavin, would go to New Canaan Library to make them. 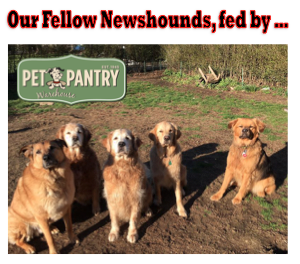 Others went with her, and Mahoney delivered a dozen to the family. “Everybody’s been wanting to help and do something,” she said.